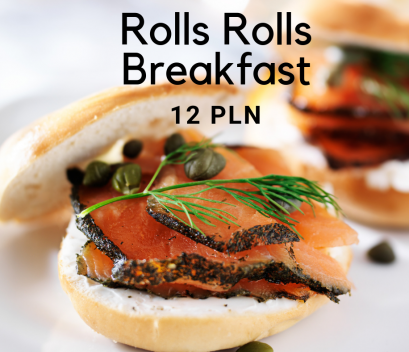 We invite you to Rolls Rolls Breakfast in local Lajkonik Café 20 steps from our our main gate. Price 10pln for a roll and coffee. We do not offer breakfast at Stradonia simply because there is plenty of breakfast venues around offering quality and variety. We have a list of recommendations. Breakfast coupons are available in our reception upon arrival and during your whole stay.